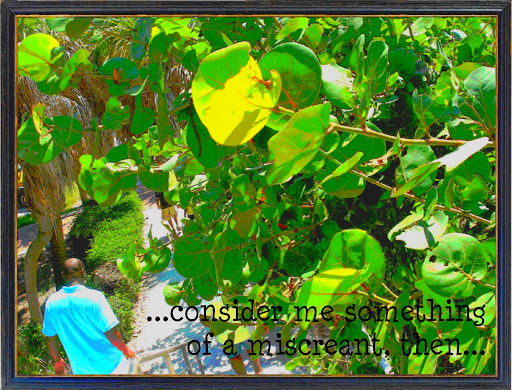 ...consider me something of a miscreant, then...: "...life is but a dream..."
so why'd I have to practice on you? that set in as you walked out. too much i just want you to be the one. i knew it wouldn't last forever. curled up as tight as newborn eyes pre-sight. why exactly did it have to be you? with that crooked, birthmarked smile of yours. over the beauty in my folly that once was everything i wanted. in the fact that you were first. i could ever look to assign another man. and now regard solely in after-thoughts. You are truely such an amazing writer. I look forward to reading everything you have everyday. I read this first (http://www.examiner.com/x-1776-Orlando-Singles-Adventures-Examiner~y2009m2d24-It-was-but-my-first-love) and your article changed everything about what i've been thinking. I went through it too at such a young, vunerable age and I have NEVER thought about it the way you wrote about. I can't thank you enough, this helped me so much you had no idea.